La Calle Cuatro is an oil painting on canvas from a photograph that Emigdio took of 4th Street Santa Ana, California in the late 1990's. He painted this work in a photo realistic style with extraordinary detail and a moment captured in time. La Calle Cuatro is an oil painting on canvas from a photograph that Emigdio took of 4th Street Santa Ana, California in the late 1990's. 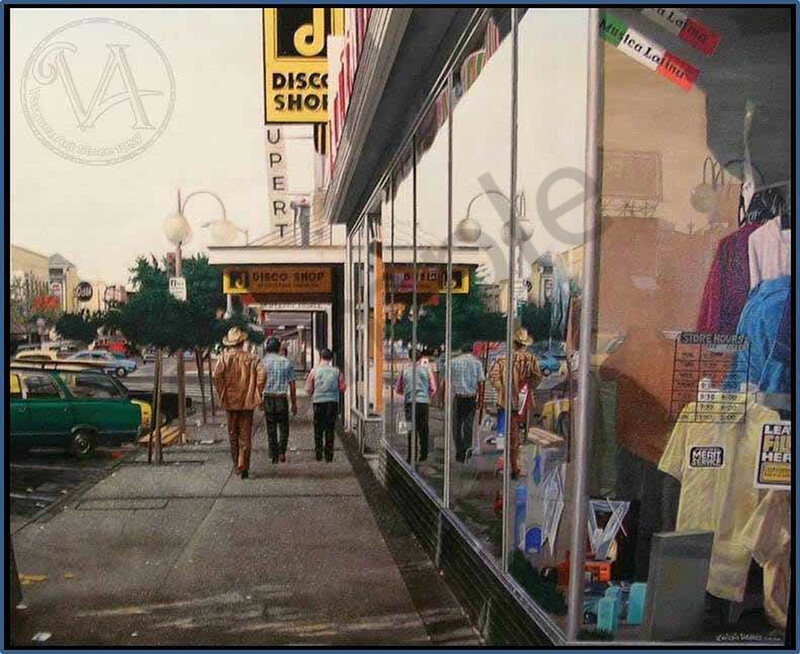 He painted this work in a photo realistic style with extraordinary detail and a moment captured in time. This Limited Edition Giclee is 22 x 28, its original size. There are only 120 high quality canvas prints available including a Certificate of Authenticity. The price is exclusive of any tax, shipping, or frame.